This book by Barbara Benson makes me very happy. Can you see why? Yes, it is slip-stitch knitting combined with lace work. If you follow me, you know how close to my heart this is. Barbara is mostly playing with lace and what’s called Mosaic knitting patterns. Mosaic patterns (Barbara Walker’s coined term) belong to a group of stitches called Traditional slip-stitch knitting patterns (one of the 4 groups of slip-stitch patterns that you see in The Art of Slip-Stitch Knitting). These patterns can be worked in solid color or in multiple colors. No matter how many colors are used, these patterns produce incredibly beautiful texture. On top of this, you use only knit and purl stitches plus you slip some stitches without working them. If you use standard relation of yarn and needles, some of the stitches can come out pretty dense since the float of slipped stitches bulks the fabric up. There are ways to go around it for a better drape. One of them is a change to a bigger needle using the same yarn. 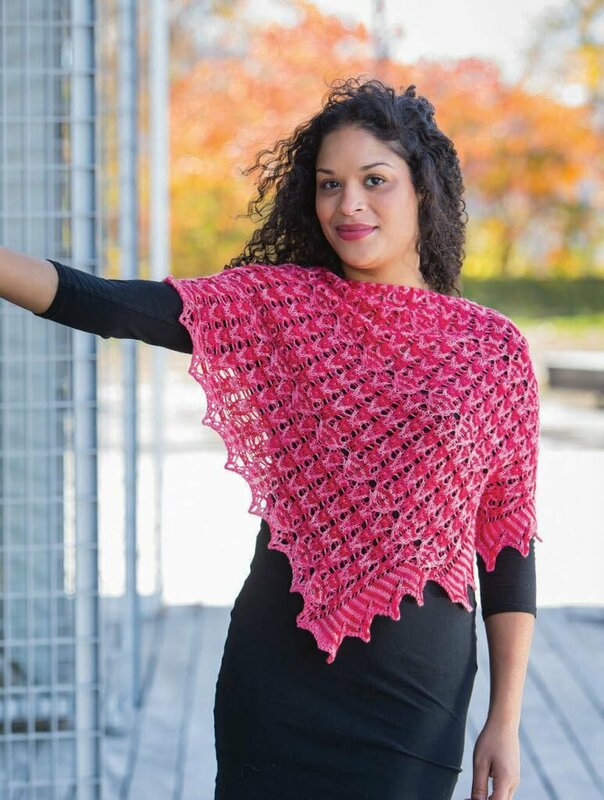 Barbara Benson offers another way to add drape to slip-stitch patterns. She uses bigger needle and mixes in some lace patterns into her designs. I think it is just brilliant!! 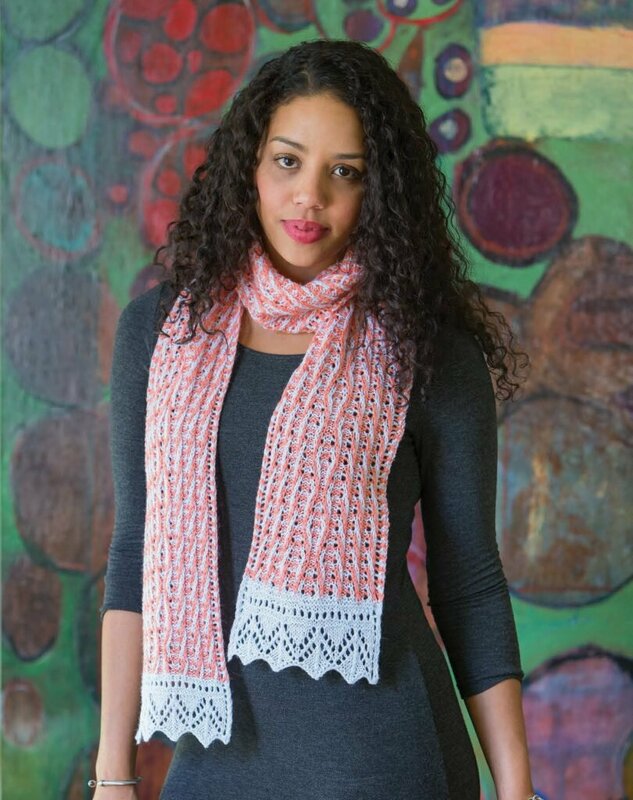 In her book you will find a collection of 20 shawls, cowls, scarves, hats, and other accessories. Here are a few of them. A lot of drape, beautiful color combinations, very nice choices of complementing stitch patterns. As I mentioned before, do not be alarmed by visual complexity of the stitches. It is not difficult to knit. Just do it!! The first few pages of the book devoted to the basics of slip-stitch knitting, how to read lace and mosaic charts, how to work mosaic in the round, and some tips. Mosaic charts are modified from Barbara Walker’s original charts (that use only 2-color squares) to fit into the standard slip-stitch and lace chart symbol combination with which we, knitters, are more familiar. 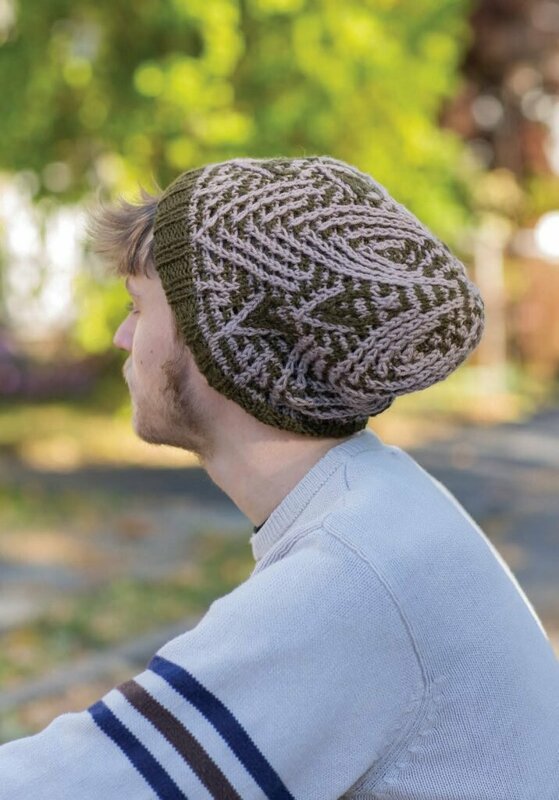 This is a great addition for the world of slip-stitch knitting. If you want to see more of Barbara Benson’s work, go to her Ravelry page to enjoy her other designs. So, are you anxious to make some of these projects? Buy Barbara’s book either at the local yarn shop or on Amazon.com. 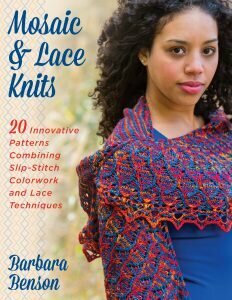 Here is a good news for you, my reader: Stackpole books, the publisher of Mosaic and Lace Knits, is giving us a copy for a giveaway. Thank you, so much for that!! You have to be a subscriber to my newsletter. If not, please sign up for it here. You must do both to get your name in the drawing hat. Deadline for a giveaway: May 10th, 2017. The winner of this giveaway will be announced after the drawing on May 11th and his/her name will be sent to the publisher for a free copy of this book. From FG: In case you are interested in slip-stitch knitting (this will make my day!) and want to learn about all 4 groups of these beautiful stitches, check out The Art of Slip-Stitch Knitting and my patterns on Ravelry. See my calendar for live classes at Vogue Knitting Live, Interweave Yarn Fest and other venues and check out my Craftsy classes. Her designs make my fingers start twitching in anticipation of working on them. The hardest part is which one to start with! 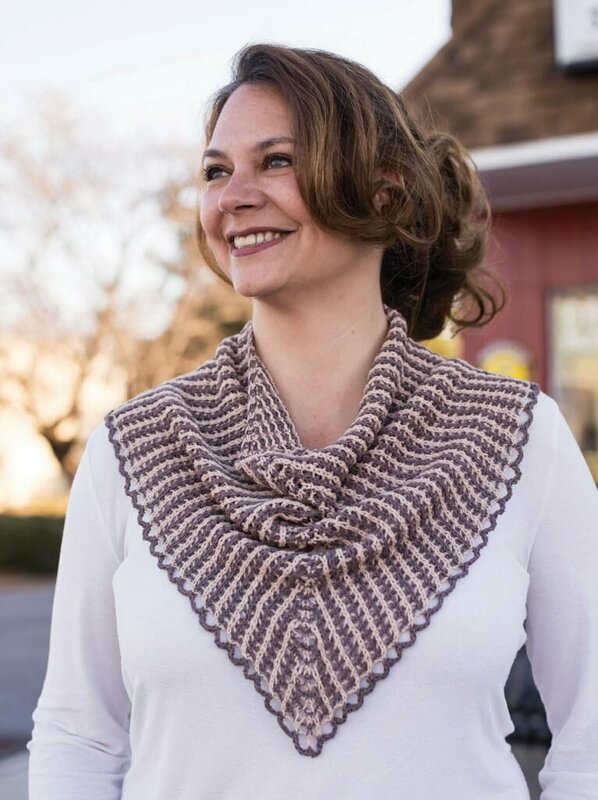 It sounds like a great idea to combine slip stitch and lace. 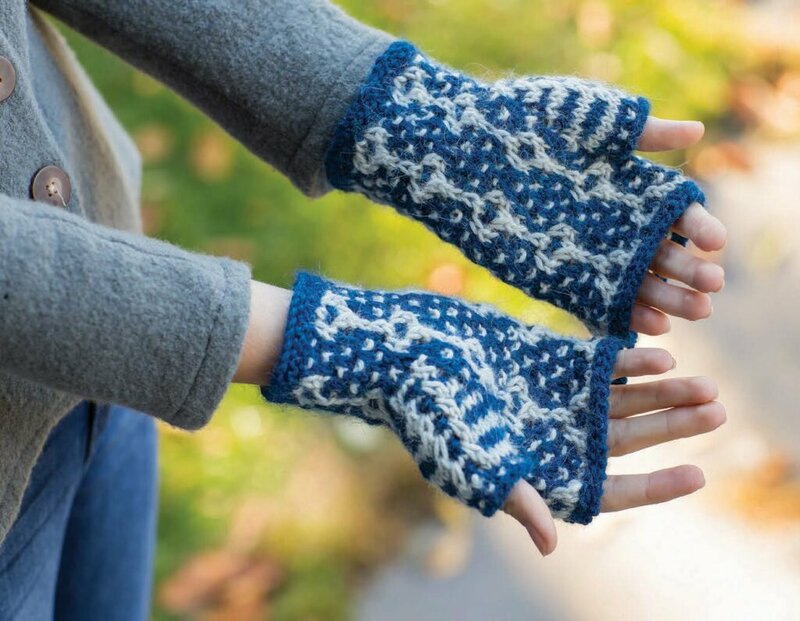 The colors and techniques give knitting a whole new dimension! I can’t wait to get started. The problem is which project first! I probably should be embarrassed to admit that my library contains dozens and dozens of knitting or crochet books. So-I’m not easily impressed. These designs are unique and beautiful! Agree with Juanita that the hardest part will be deciding where to start. I love mosaic combined with lace. So innovative! Would love to add this book to my library of inspiration! My goodness! The designs in her book look amazing and fun! Oh, how exciting to see you at it again. I love everything you do! That hot pink shawl is to die for! Gorgeous pictures, another brilliant designer, can’t wait to see the book! I took Faina’s wksp a year ago in Connecticut. It was fabulous! I came away with great notes and one of her books signed by her. Wonderful! The book is so motivating, I love the interesting and creative patterns. I would love to win a copy! Barbara’s designs are stunning. What a great way to combine slip stitching and lace! I love your review, I’m sure the book is as incredible as it sounds! These designs are beautiful. I love the challenge of a new technique, and slip stitches are so fun! What a great way to use my stash when I don’t have enough yarn to try a new pattern, just add color! 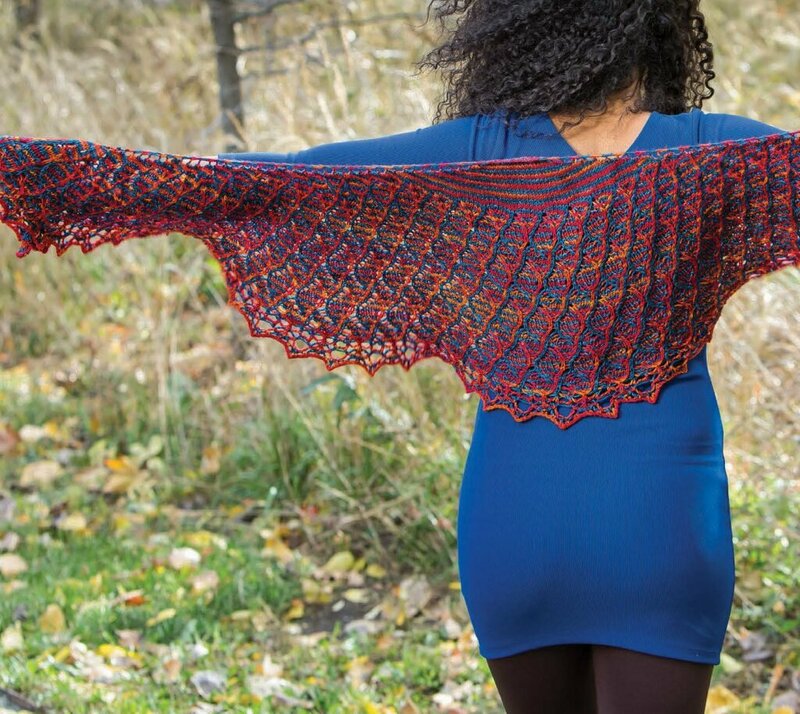 I’d ataart with casting on the shawl on the cover. What beautiful designs! I have many many books…but this book is very impressive…beautiful! I love Faina’s suggestions and workshops. I love Barbara’s book. Looks like a really nice book. I love the idea of combining color and lace in such a creative way. 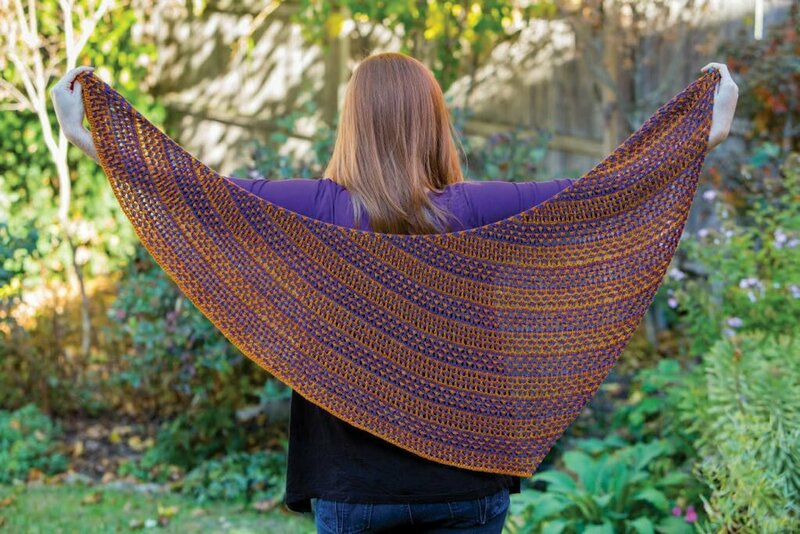 The first lace shawl in the sequence of pictures is my favorite! The brilliant colors and patterns, the beautiful projects . . . So visually stunning!!!! I would love the chance to win this book!!!! I’m a lace beginner. The book looks lovely and will be a great challenge for me.